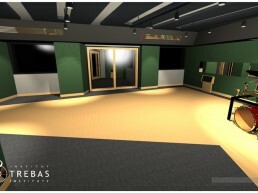 Trebas Institute | Pilchner Schoustal International Inc. 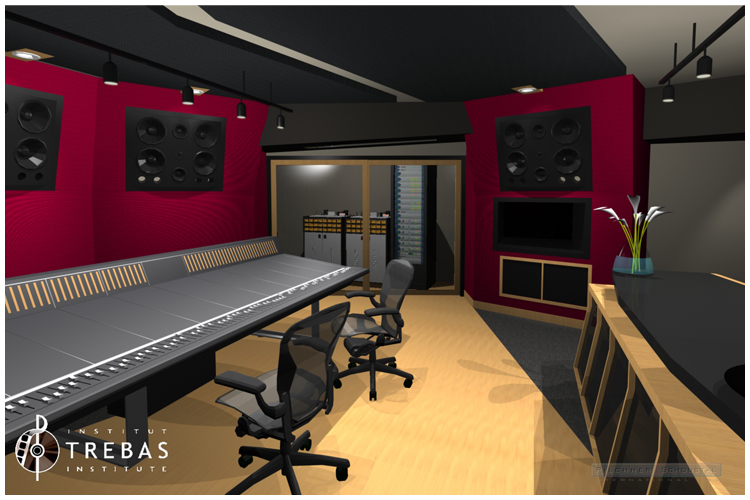 This design is for new studio facilities for Trebas Institute in Toronto. 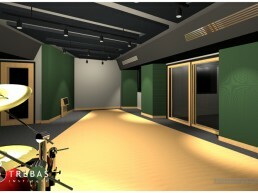 The studio is to be built for the new school facility. 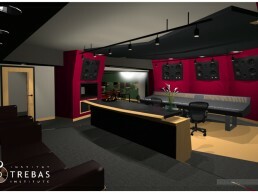 The design features a control room with the studio proper to the left, and a machine room to the right of the mix position. 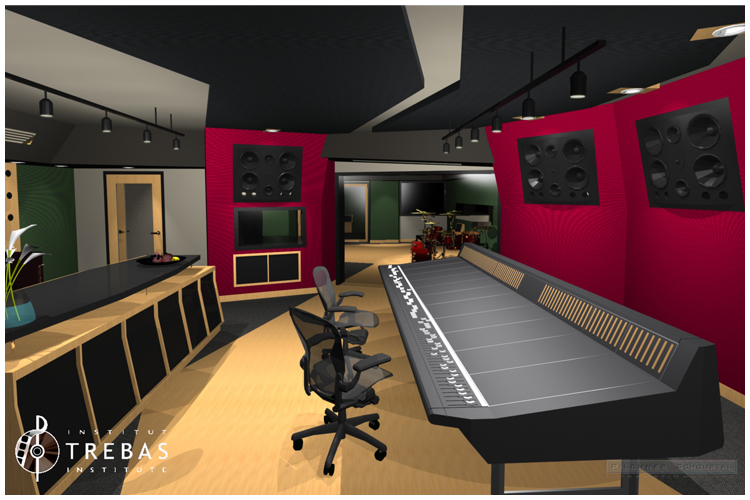 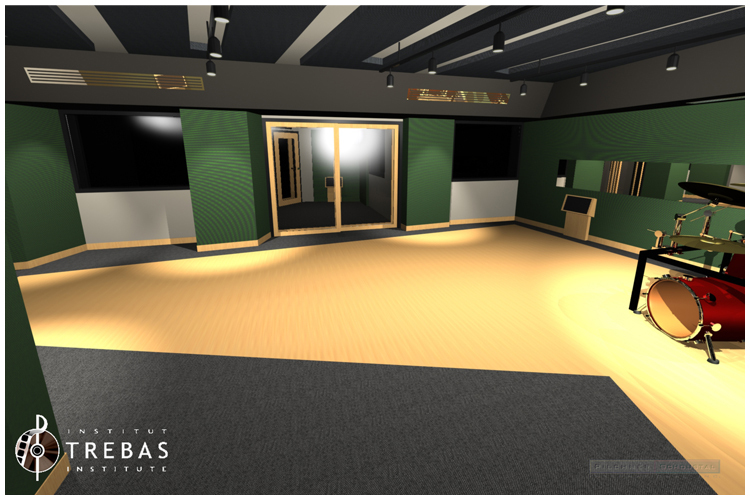 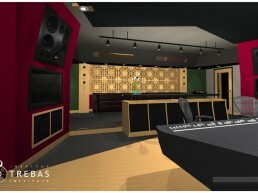 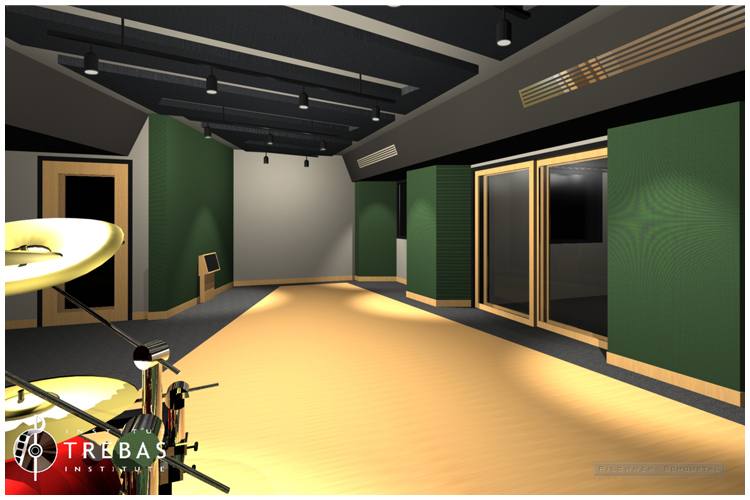 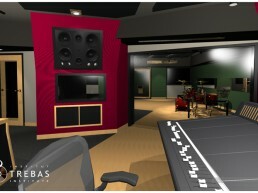 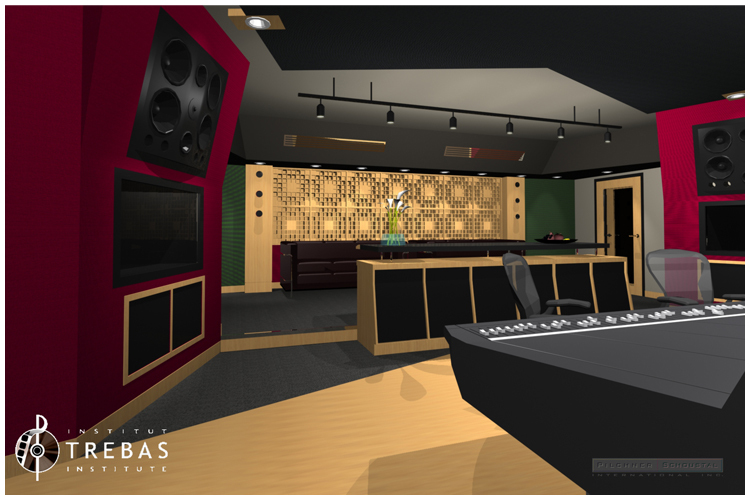 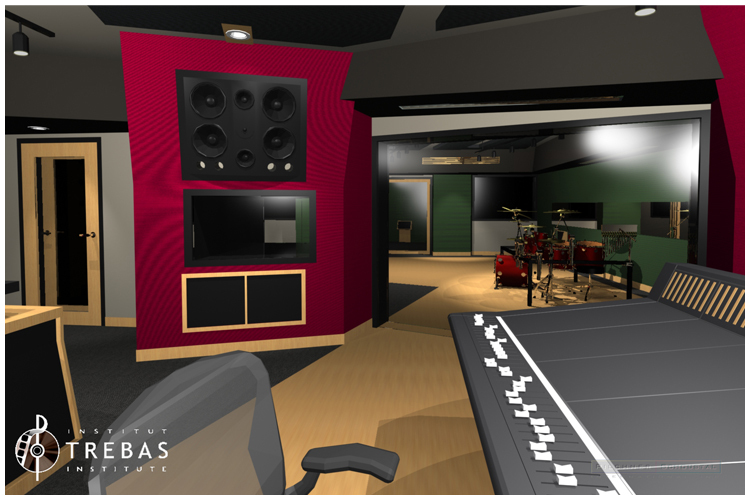 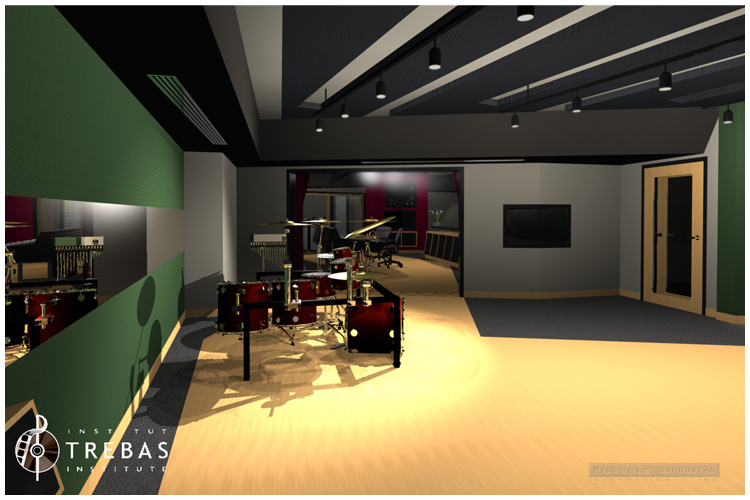 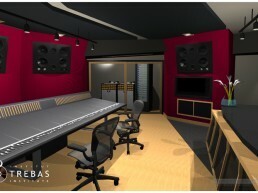 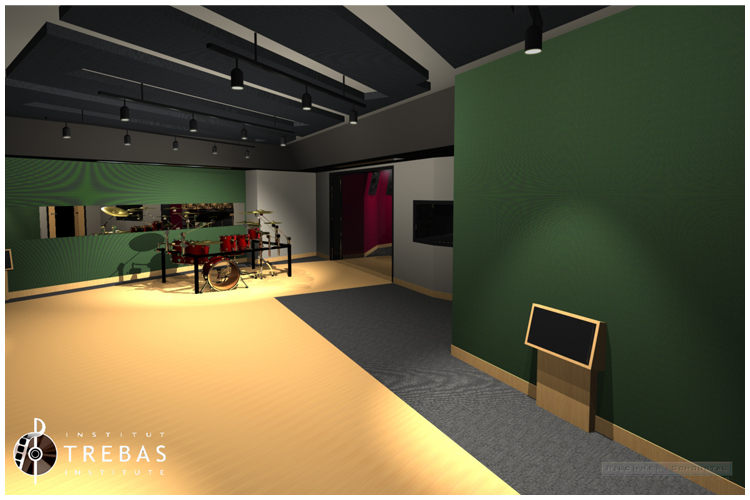 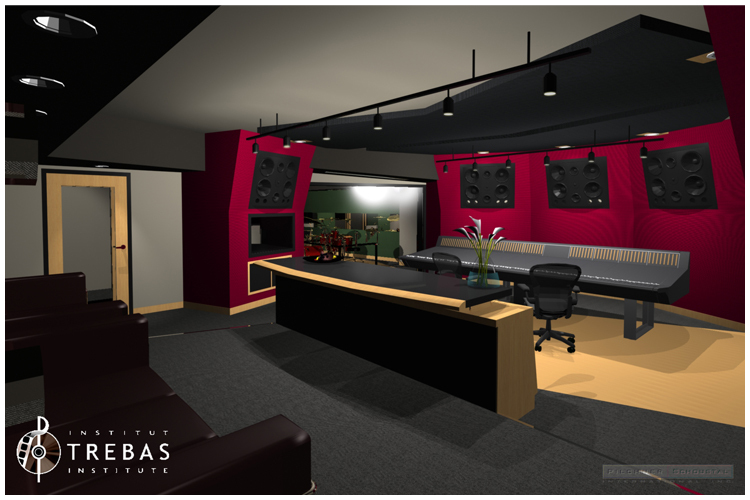 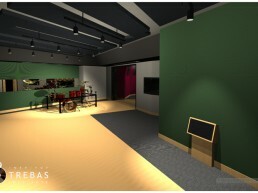 The studio proper will include and isolation booth area which will also be adjacent to two other pro-tools suites. 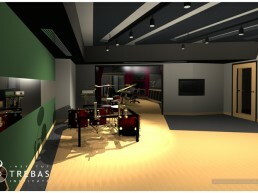 The control is designed to provide space for small classroom and workgroup setting. 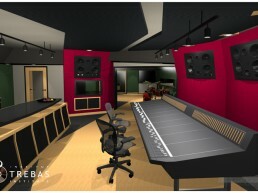 The design for the control room utilizes controlled reflection geometry and is optimized for 5.1.